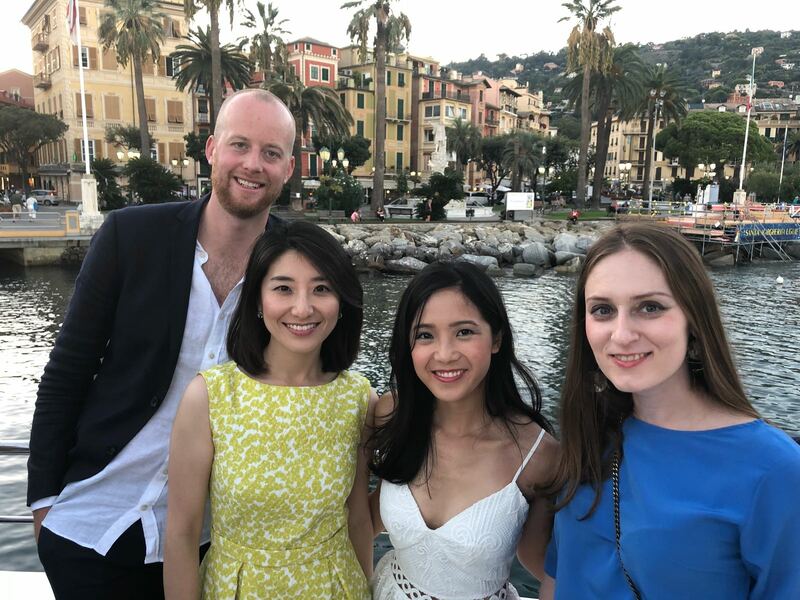 Every September hundreds of MBA students and alumni from top global business schools travel to Santa Margherita Ligure, Italy, a famous sailing destination, to take part in the Bocconi MBA Conference and Regatta. Twenty-five schools compete in three separate races divided by boat class. CJBS Sailing Club, launched in 2016, was invited for the second time to race in the most technical class. 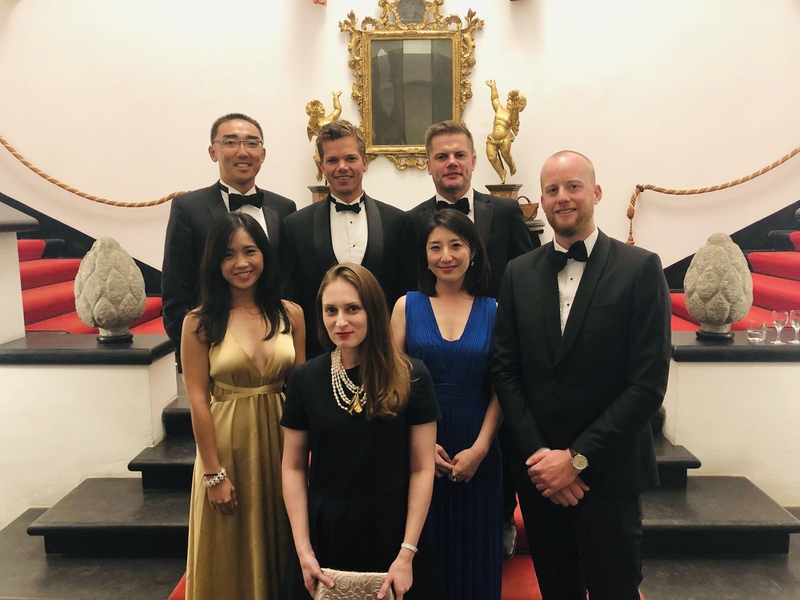 Outside of the races the CJBS team got a chance to network with representatives of the other schools, all whilst taking in the enchanting natural environment and the interiors of medieval Italian palaces. This year the conference highlighted the role and responsibility of new and future leaders, including the MBAs in attendance, in saving the Ocean for a smart and sustainable growth. MBA students by definition are success-driven leaders, naturally competitive and goal oriented. At the same time MBA students study process and real business environments which in turn encourages collaboration, with team skills being the cornerstone of successfully completed projects. For the CJBS team, the regatta turned out to be an amazing on-the-water experience where we embraced seemingly mutually exclusive patterns. It was fascinating to see a group of individuals, with different sailing backgrounds ranging from zero to the successful completion of Round the World Sailing Race come together and form a brand new team. After some initial team building and role allocation on land we headed out into the Ligurian Sea. Many of the theories we would learn back at CJBS in the weeks following were put to use to create a bond and efficient communication between team members. Soon we forgot about how new our team was and we were all absorbed by the race and deeply concentrated on chasing after the wind, getting the weight distribution right and on trimming the asymmetric spinnaker. Collaboration and teamwork are of utmost importance on a boat as the whole team works together to navigate the boat, and to create leverage on the wind to move forward. The outing to the sea reminds us of the beauty of nature and our responsibility to protect our one and only planet as global citizens. Off the boat, in addition to indulging in social activities against the Italian backdrop, we engaged in intellectual exchange of ideas about increasing sustainability in a business setting. Elfreda Wong: Sailing has always been an activity on my bucket list. Coming from an ocean-bounded Hong Kong, most people have their unique association with the ocean – for me, it is playing water sports. I cannot find a better way to start engaging in this sport than by joining the Regatta within two weeks of the start of the MBA because of three reasons: MBA has a symbolic meaning of new challenges – I was sensitive to motion sickness, but I survived through the two-day race; it contributes towards the good cause of raising funds for One Ocean Foundation, preserving the valuable nature that is threatened by human activities; and a fun weekend to network and socialise with other MBAs from universities across the world! Yuki Ueno: It was a great event with both sailing and networking. Despite having no sailing experience, I really enjoyed it and spent an amazing time on the water in a relaxed environment with participants from other schools. Natalia Khetagurova: Although sailing seems to be a demanding activity, the unanimity with the team to transcend the water element is an extremely rewarding experience, valuable in one’s endeavours beyond the boat. There is another incentive to consider joining the forthcoming MBA regattas as an amateur besides tasting local flavors in Lanzarote, Barcelona or Athens. It is a fabulous opportunity to (re)connect with people outside of your current circle, whether they are your former colleagues, potential partners or just amiable chaps you would never have a chance to meet anywhere else. Jens Peters: Sailing with little wind is highly technical and requires utmost concentration. It is in no, or little wind, that true sailing skill is evidenced. It was the first time the CJBS crew on the J-80 sailed together which meant we very quickly had to figure out individual roles, how to work as a team and how to effectively communicate. I have a strong memory of our last spinnaker run where everything worked perfectly, the boat was flying, the crew members smiling – evidence that we had come together as a crew and were delivering results. I had a great time in Italy and would urge all MBA students to participate – sailing experience or not!